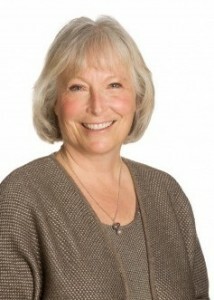 For over 20 years, TIGERS® Success Series founder, Dianne Crampton, has helped organizations such as Costco, AT&T, and Boeing develop high levels of team cooperation with sustainable success. Through innovative leadership team development programs and award-winning resources, these companies and other organizations have not only thrived, but are among the elite, preferred employers. TIGERS Success Series is now expanding our inner circle of certified facilitators, trainers, and coaches to qualified applicants. Be among the elite few looking to take your business to the next level with TIGERS Success Series proven team development system. You will learn how to facilitate teams using the TIGERS Team Wheel™ game and team development toolkit. Use this valuable resource for team building, workforce development strategic planning, and facilitating improved group process, structure, and team dynamics. The facilitation process creates a team environment that recognizes the harmful effects of internal competition, improves communication, and discovers unrecognized leadership skill sets while building employee commitment and engagement. View a video for a brief overview here. Who stands to benefit from the TIGERS certification program? What does becoming a TIGERS facilitator mean to you and your business? As a TIGERS facilitator, trainer, or coach you stand to not only reap financial rewards, but also grow your own thriving business and gain valuable exposure through the TIGERS Success Series website. Here is the complete list of what a TIGERS Inner Circle program can do for your business. What is the TIGERS Team Wheel™ game? 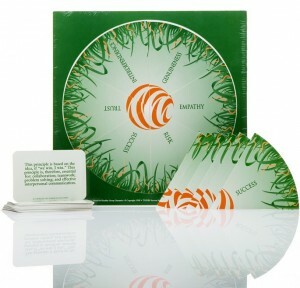 For over 20 years, the TIGERS Team Wheel™ game has been an instrumental leadership-training tool for newly forming teams. It cuts short the stage of team growth called “storming” that is often plagued by confusion, misunderstandings, and conflict. It establishes productive and cooperative behavior expectations that team members, themselves, endorse. TIGERS Success Series addresses the issues of team and workforce development strategic planning, employee conflict mitigation, group norms and process development, communication, team consensus, team cooperation and engagement and team building. The best part is, the TIGERS Team Wheel™ is a hands-on, interactive team building exercise and training program that works hand in hand with existing resources such as conflict resolution surveys, workforce strategic planning, communication surveys, Total Quality Management, Six Sigma,system’s refinement and workforce efficiency programs, team strengths indicators, problem-solving and decision-making methods, diversity education, communication education, and entrepreneurial training. The TIGERS Team Wheel™ engages every learning style to get to root issues facing a team quickly in a non-threatening way. This team development game helps entrepreneurs lay the foundation for their business culture, group norms, and procedures; facilitates partnering agreements for general contractors coordinating multiple subcontractors, and streamlines supply chain development. Achieving successful results industry-wide, The TIGERS Team Wheel™ game has served manufacturing, engineering, project management, aerospace, community stakeholder, school site council, and not for profit teams. Boards of directors, church groups, youth groups, and family counselors working with blended families have also seen a tremendous benefit from the game. For more in-depth information on the TIGERS Team Wheel™ game, view our ”Just the Facts Ma’am” Webinar that tells the story of how the TIGERS Team Wheel™ came to be and the benefits of gameplay that promises to reveal previously undiscovered skill sets, strengths, and growth opportunities for team members and leaders. What tools and resources will I gain for my own business when collaborating with TIGERS? Collaborate with other exceptional consultants who have a cooperative niche. Currently, TIGERS Success Series is offering this exclusive training program to a limited number of inner circle members. To begin the process, simply complete the TIGERS application and provide a well-defined niche. pharmaceutical teams, dental clinics, medical clinics, etc. Once a niche is filled, it is gone. The application process is open to consultants, facilitators, trainers, mental health/social workers, community development specialists and educators in the USA, Canada, and Europe only. A fee of $6,000 (US funds) is required from you only upon acceptance. Therefore, there is nothing to lose in applying for the TIGERS training and certification program. Similar, future certifications will have an additional cost of $8000, so take advantage of this one-time low fee for the first 10 seats offered in the program. Nomination by Merrill Lynch for the Western Region Inc. Magazine Entrepreneurial awards where Dianne received honorable mention for her successful work in group dynamics and for her TIGERS Team Wheel™ group development game. Recognized by the National Association of Professional Women for 2012 Woman of the Year.